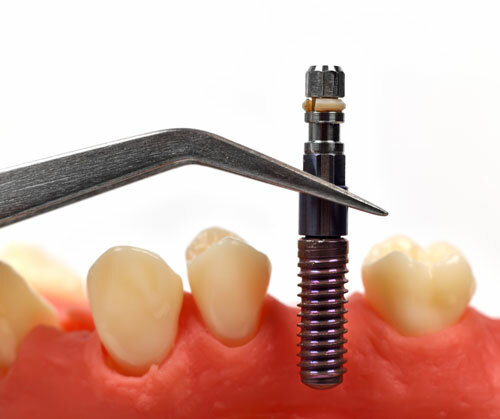 If you are interested in dental implants as a way to improve the appearance and function of your teeth, you may have heard the term osseointergration thrown around before, especially if your oral surgeon has recommended a bone graft. While this is a big term, it really isn't as complicated as it seems. Find out more about the osseointergration process. The word osseointergration derives from two Greek and Latin Terms: osteon, is Greek for bone, while integrare is Latin for to make whole. That is exactly what osseointergration does - it makes the bone whole. This process has been used since the 1960s, and it is crucial in order for dental implants to work. Osseointergration takes advantage of the natural processes of the body. When your dental implant is placed into the jawbone, it is locked in place so that it can create a solid bond. The titanium post will actually fuse to the bone, making it a permanent fixture in your mouth. While this is a natural process, it isn't simple, and it can take months for osseointergration to be complete. However, you should be able to see some evidence of progress within a few weeks. Osseointergration is intended to make your implants resistant to internal shocks, but just like any other part of your bone, it can still be damaged due to poor care or trauma. Once your implant is put into place, you'll need to care for it, just like any other tooth, taking precautions to keep it from being damaged and employing good dental hygiene to keep the area clean and free of bacteria. However, the end result will be a restored smile that will allow you to eat, speak, and chew just like the teeth that you were born with. Please call us if you have any questions about osseointergration.